Welcome to my home page! I am a science, math and business applications research consultant and entrepreneurial software systems technologist and executive for machine learning, biotech, digital infrastructures, logistics, business intelligence, services and related products. In addition to my private SJK Research consulting services, the average mid-stage startup corporate valuation and initial capital investment in which I am the leading technical resource is about $150 million and $50 million USD, respectively. Most recently I was Chief Technology Officer and Vice President of Product Development and Engineering at Pathway Genomics, and have ongoing independent experimental work in various kinds of cool, fun and perhaps lucrative research and other science, math and software projects when not flying as a private pilot. I was also chief executive of Plus One Flyers and Rassavong Scholarship Foundation, am Executive VP of Mersenne Research and a board director of all three organizations. I am humbled and surprised with the amount of popular interest in my work! Thanks to all of you who gently pinged me to get this site rolling. 10/19/2017 - My latest startup adventure MongoDB IPOs on NASDAQ! 07/19/2017 - I conclude my 6th term as President, and am re-elected to Plus One Flyers board of directors. 01/07/2016 - Great Internet Mersenne Prime Search (officially, Cooper, Woltman, Kurowski, Blosser, et al) discovers the 49th known Mersenne prime, 22 million-digit world-record prime number! 10/23/2015 - IBM Watson Health conference in La Jolla, California features my Pathway Genomics OME (code-named Panorama) product. 07/30/2015 - Ethereum launches! This platform is a game-changer and its arrival could be a defining inflection point in human history. 07/22/2015 - Eigth Where's George bill found during my beach run today. 07/19/2015 - Re-elected to Plus One Flyers board of directors. 11/09/2014 - Fifth, Six and Seventh Where's George bills received as change today. 10/04/2014 - IBM's Watson Group invests in Pathway Genomics, selects and announces my co-invention and (code-named) Panorama project at Pathway. 07/30/2013 - Studying Causality: Models, Reasoning and Inference (2nd Ed. ), by Judea Pearl at UCLA, a rigorous, powerful calculus of cause-and-effect! 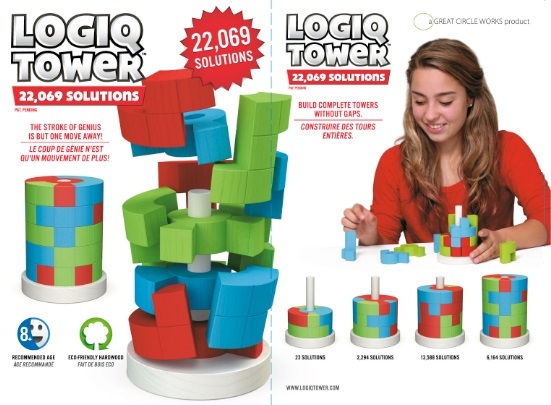 07/15/2013 - Logiq Tower hits the market! Some notes about it and my role in its design here. 06/27/2013 - Re-elected to Plus One Flyers board of directors. 01/25/2013 - GIMPS and Cooper (officially, Cooper, Woltman, Kurowski and other participants) discovers the 48th known Mersenne prime, the latest, 17 million-digit world-record prime number! 10/15/2012 - Joined the Pathway Genomics executive team! 07/04/2012 - The Higgs Boson revealed where the Standard Model predicted! 07/01/2011 - Re-elected to Plus One Flyers board of directors (and declined an offered fifth board re-appointment as President). 02/16/2011 - IBM's Watson wins the Jeopardy! Challenge, $1M winnings fund The Scripps Research Institute's drug research grid built in 2000 by myself, Garrett Morris and the Entropia team, now operated under IBM's World Community Grid. 07/16/2010 - Reappointed fourth-term President of Plus One Flyers, Inc., and 6th year on the board of directors. 05/19/2010 - The universe is less symmetrical in nature than predicted - and the bottom quark is afoot, as learned by Fermilab! 10/14/2009 - The Electronic Frontier Foundation awards us the $100,000 Cooperative Computing Award for the discovery of Mersenne prime M45, 243,112,609-1 ! This same discovery earned Time Magazine's 29th Best Invention of 2008 (UCLA is a participant in GIMPS PrimeNet). 08/25/2009 - The Fibonacci Quarterly mathematics journal publishes our research paper, On the Discovery of the 45th and 46th Known Mersenne Primes. 08/25/2009 - My physics derivation of the mass of 1 bit of information at 150°F, mb = 3.61x10-35 g.
08/24/2009 - Rassavong Scholarship Foundation awards 2009 scholarship to U.C. Berkeley student from San Diego, CA. 05/05/2009 - Return to Desert Flight Camp at L25 on the south rim of the western Grand Canyon. 04/12/2009 - GIMPS participant Odd Magnar Strindmo in Norway discovers Mersenne prime M47, 242,643,801 - 1 on PrimeNet ! 02/13/2009 - How to play to innovate and succeed - book recommendation: Innovation Games by Luke Hohmann. 11/02/2008 - Sorteo Games launches Cachito Movil SMS Loteria Nacional, the national lottery of Mexico, on cell phones, one of our products. 08/15/2008 - Rassavong Scholarship Foundation awards 2008 scholarship to Georgetown University student from Valley Center, CA. 05/09/2008 - Our 2008 Desert Flight Camp at L25 on the south rim of the western Grand Canyon. 03/15/2008 - Digital Orchid launches Melate Movil, the 2nd national lottery of Mexico, exclusively available on Telcel mobile phones, one of our products. 04/02/2007 - 10th anniversary of the operational PrimeNet volunteer distributed supercomputing grid! Large-scale semidefinite programming (SDP) (combinatorial and polynomial convex conic optimizations with intersecting affine spaces). Real estate research through East Meets West Distinctive Properties and peer web sites. Giving startup business planning and entrepreneurship guest talks at the University of California, San Diego. Managing Mersenne Research, Inc., a 501(c)(3) math and computer science research project operating the Great Internet Mersenne Prime Search (GIMPS) [1997-present]. Scripps Research Institute's drug research grid, now operated under IBM's World Community Grid as part of the National Institute of Health (NIH), having about 45,000 computers [2000-2002], and which in 2012 was the recipient of the IBM Watson Jeopardy! Challenge $1 million prize winnings! SaferMarkets University of Rochester Simon school of business stock volatility research grid (now concluded) [2000-2001]. Calculate an earthquake epicenter (on a plane) from three seismic station reports [~1980,2010].